Add an extra layer of security when using your GoPro in extreme conditions. 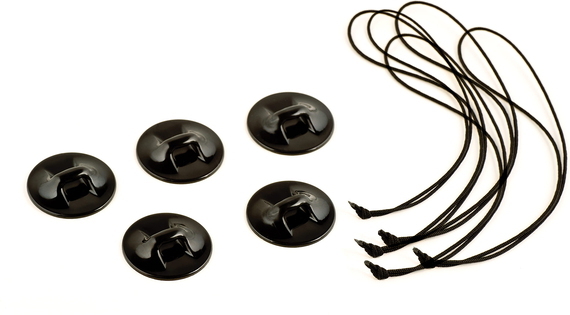 Attach the adhesive anchors to your gear, then secure the Camera Tethers to the camera housing backdoor. If your GoPro comes loose, it will remain attached to your gear. Adhesive anchors can be removed by applying heat from a hair dryer, then peeling off.